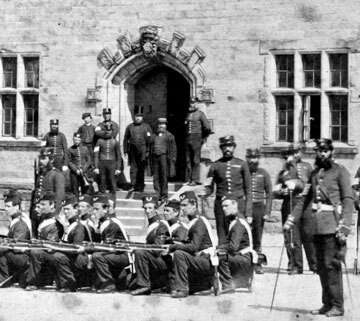 The 1st Royal Lancashire Militia (The Duke of Lancaster's Own) outside Springfield Barracks, Lancaster. The building still survives today, but no longer as a barracks and can be seen from the main A6 from at the south of the one way system. The photograph dates from around 1860. Enlargement of the above image. 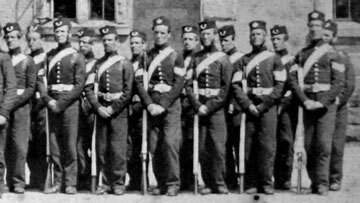 Soldiers of the 1st Royal Lancashire Militia circa 1860. 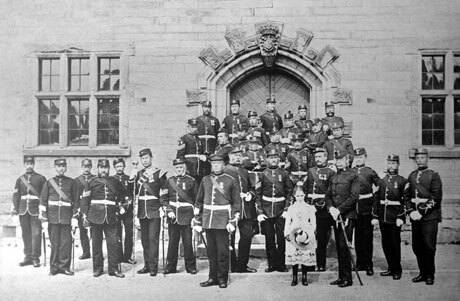 Depot staff of the 1st Royal Lancashire Militia (The Duke of Lancaster's Own) outside Springfield Barracks, Lancaster circa 1875. 'Permanent' militia depot staff were often time expired regular soldiers. 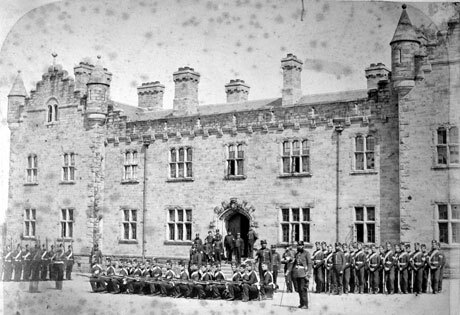 Front Elevation of Springfield Barracks, Lancaster. 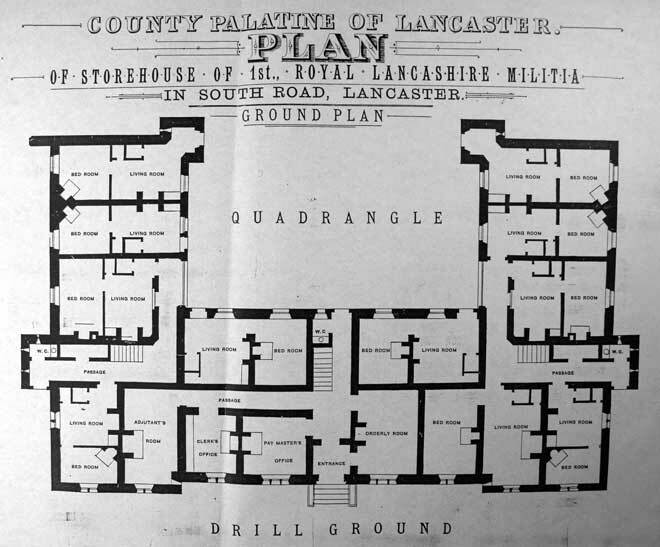 Ground floor plan of Springfield Barracks, Lancaster. 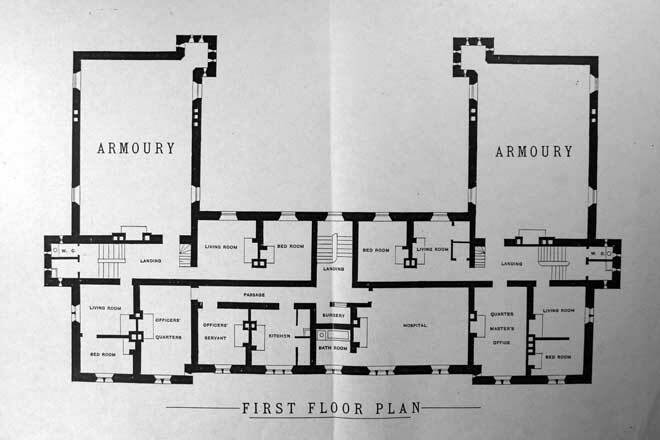 First Floor Plan, Springfield Barracks, Lancaster. 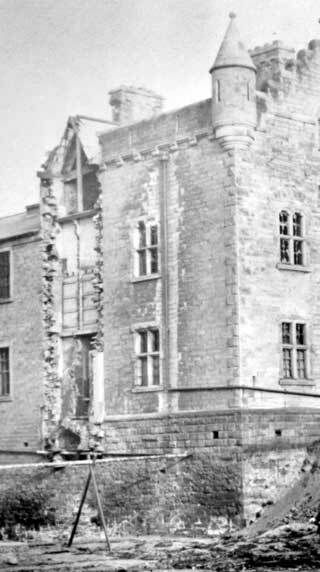 Note the extension from the main building at both ends - this was a defensive position which has since been removed, the photograph below shows the building work taking place to remove these positions. 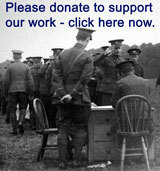 Alterations taking place to the north of Springfield Barracks, after being vacated by the Royal Lancashire Militia and the removal of the building's defences.